I am one of those women who is always cold. I suffered for many years, trying to stay warm to no avail until I discovered smart wool thermals. I thought that more clothes would equate with warmth. But that is wrong. Layering is important, but what you layer is equally as important. Four layers of cotton are not as warm as just two layers of wool. I had thermal underwear before, but they never kept me warm. That's because they were cheap, polyester blend articles that I bought at the local superstore. You may save money with those cheap thermals, but you are not conserving any warmth. Once I discovered how well Merino Wool Minus 33 long johns keep me warm, I was more than happy to spend the money on them. They are machine washable and durable. I've had the same three pairs for over three years now and they still look and feel perfect. They do not shrink or pill, and they are not itchy. When my friends complain about the cold, I tell them about Minus 33 wool base layers. No woman should suffer through the winter, miserable and cold. 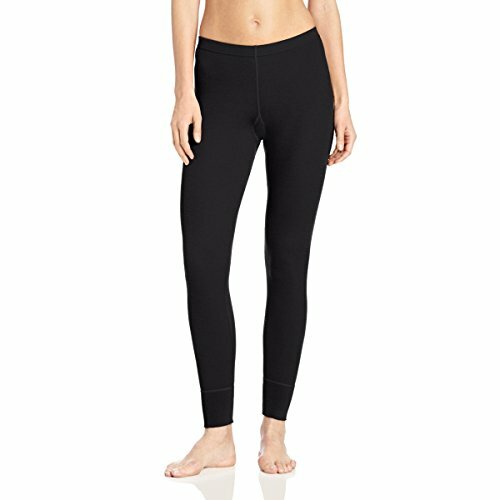 Because I love my Minus 33 thermal underwear, I want to share my experience with other cold natured women. Minus 33 wool thermals come in three different weights -- light weight, medium weight, and expedition weight. I have both light weight and medium weight thermals in my wardrobe. The difference between the two kinds is slight but definitely perceptible. Obviously, the medium weight are slightly thicker and do keep me a tad bit warmer. The light weight thermals, as you would expect, are slightly less bulky than the medium weight. The difference can make me grab one thickness or the other depending on which pair of jeans I'm wearing them with. In fact, I can distinguish the light weight from the medium weight in the dark just from touching the thermal underwear. It's hard to say which weight is best for you. The expedition weight is probably not necessary unless you are going to be outdoors for extended periods of time. 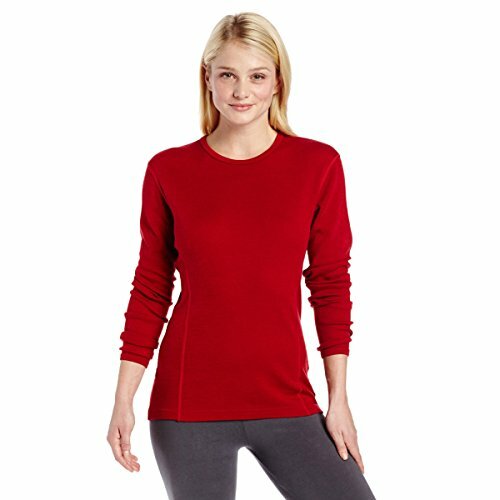 If you are the kind of person who is very much bothered by the bulk of layers under your clothes, try the light weight thermals. But if wearing thermals generally doesn't bother you, go for the medium weight. The Minus 33 thermals come in different colors. Besides basic black, there is red, gray, and cream. Sizes range from XS to XXXL. Use a natural fiber to keep as warm as you in can in the frigid cold by wearing Minus 33's Expedition Weight Wool Bottoms. It's scientifically proven that women are colder than men. We hold more of our body heat at the core of our bodies, so our extremeties get much colder much more often than men's do. Women also suffer from anemia (low iron) more frequently than men (as a result of monthly menstruation). Low iron counts can also make a woman feel colder than normal. Add winter temperatures to the mix, and you've got a recipe for a very cold natured woman who is "always cold." Yes, Minus 33 wool thermals will keep you warmer. No, you can't stay outdoors for hours upon hours and stay toasty warm. But you can stay as warm as your "normal" peers who never complain about the cold. You don't need to fear running errands or leaving the comfort of your space heater because of the cold. These thermals make a huge difference. If it seems that I'm gushing about underwear, well I am. That's just how cold natured I am and how important these clothes are to me. If you are constantly cold, all winter long, then you truly need to get yourself some wool thermals. Forget cheap versions; forget silk and man-made. Stick with natural Merino wool. One of my main complaints with cheap thermals besides the fact that they never really kept me warm was that they didn't fit! The waistband is comfortable and sits at the waist, not up to your bosom as so many of the cheap thermals do. I do wish that Minus 33 would come out with a below the waist thermal. It would be even more comfortable and wouldn't peek out above my jeans. But the at the waist models that are featured here are not particularly uncomfortable. They just take some time to get used to if you are not accustomed to wearing anything up at your natural waist. The bottom of the legs are not tightly banded, so no matter where they fall on you, they do not constrict. Even when I wear thick wool socks, the thermals do not bind my ankles or calves. Put simply, these thermals fit well and are comfortable. When I pull out a pair from my dresser, I never think, "Ugh, I have to wear those tight/short/uncomfortable thermals." Instead I think, "I'm so thankful to have my wool long johns!" For the top half of your body, there are long-sleeved thermal tops. With red, gray, black, and cream, you can actually use these thermals as part of your visible wardrobe instead of hiding them under your clothes. Note there are no boring white thermals. I love my black thermals and feel that they are far classier than the cheap white ones I used to wear. I was always embarrassed for my cheap thermals to peek out from under my sweater because people tend to make fun of my always being cold. But the Minus 33 smart wool thermal tops don't look like typical thermals. They just look like attractive, long sleeved tops. Smart Wool is not Itchy! I have heard of some people who say that smart wool is itchy, but I honestly cannot understand that. I have some of the most sensitive skin that I know of, and I have no reaction whatsoever. All I feel is WARM. I wear them from Oct. to April. Our winter has been especially warm this year in Memphis, but I am still wearing them on the colder days. Thanks for this review! I am a ColdGal (low thyroid) and am planning to live and work north of the Arctic Circle. I was attracted by the Minus33 website and am sold by your review. I may be wearing them like a second skin! This is the solution to the problem many women have this time of year. Good post i am sharing the link. Thank you, I appreciate this information so much! I am always cold and no matter what I try (new thick coat, new fleece jacket, ...) nothing seems to help much. 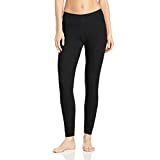 I've never thought of buying thermal underwear of the kind you suggested and I hope I'll be able to find this here in Germany, too. I am like you, always cold. Guess will have to try these. Thanks for the information. I am a coldy, too. Sounds like a great idea. This was new to me. Thank you so much for this erudite and informative article. I don't have this problem (always being cold) at the present time, but I love smart wool socks! Excellent for winter. You are correct - Smart wool is not scratchy (IMHO).